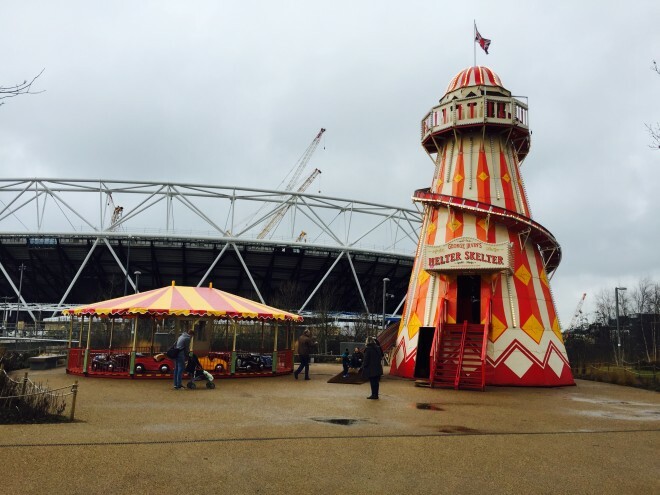 Irvin Leisure are thrilled to have introduced a superb new, but very old, children’s car ride the Austin Cars, and here we show some magnificent photos of this ride, sitting proudly in the winter snow, and then placed in front of the iconic Olympic Stadium in QE2 Park in Stratford. 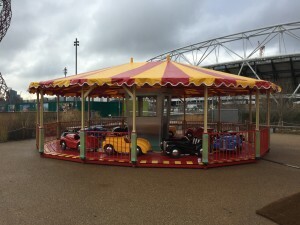 This ride is available for hire and use at your events and can also be found at our programme of family fairs and festivals. 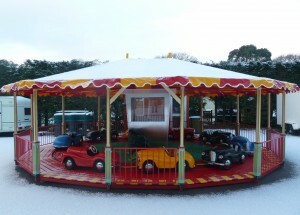 For more information on this wonderful ride, contact our office on info@irvinleisure.com and link to our funfair article pages on http://www.irvinleisure.co.uk/articles/ to read the history of this superb attraction.